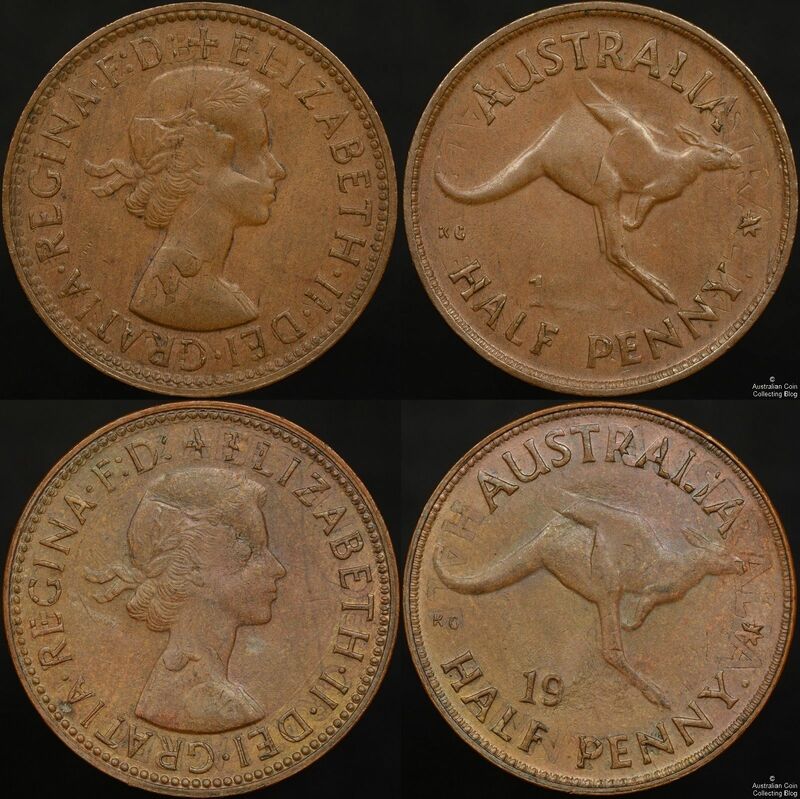 We recently had the opportunity to look through the coin collection of a friend and some special coins caught our attention. I looked closer at one of the error coins and was surprised at the similarities to one of our own coins, so we took a photo to make some comparisons. We retrieved our own coin from storage to look at and compared both coins together. This type of error is quite rare and not often seen -a rotated double struck coin error. In this case a halfpenny was struck, rotated in the press, failed to eject and was struck again. The coin rotating enough to leave parts of both strikes visible that are quite entertaining. The rotation of the second strike for each example is so very close too, only out by around 10 degrees. 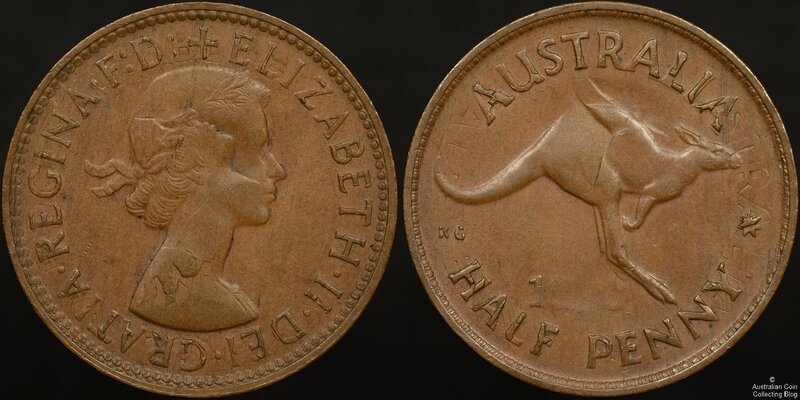 The bottom coin you can still read the original HALF around the kangaroos tail. The top coin only ALF remains in the field. The obverse we can easily see the rotation of HM’s profile. For the first strike she’s looking upwards, the base of her hair and ribbon seen at the back of her shoulder. These really are a special pair of error halfpennies.